South by Southwest is an annual set of film, interactive media, and music festivals and conferences that take place in mid-March in Austin, Texas, United States. It began in 1987, and has continued to grow in every year. 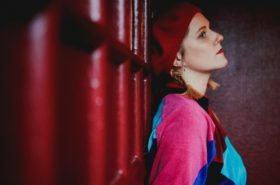 Katrine Ottosen alias CALLmeKAT already played SXSW in previous years, now she is back again presenting her latest EP “Mouth Of Time”, the by far most personal work we have heard from her. Electro-pop trio CHINAH released their debut EP “Once The Lights Are On” in early February 2016, but they are already part of the program of this year’s SXSW. 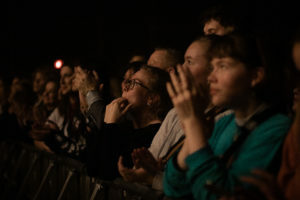 The band – who is playing also Roskilde Festival this summer – is getting more and more international attention, which the invitation to Austin also reflects. I think most of you agree with me when I say producer and songwriter Dinner is one of Denmark’s most interesting upcoming artists. His very own style must be one of the reasons he got to be part of this year’s program. Currently living in the U.S., Dinner will release his debut LP “Psychic Lovers” on 1. April. Kill J has a very successful 2015 behind her, but she is not standing still! She will be performing at the Pigeons and Planes Hype Machine Hype Hotel during this year’s SXSW and her new EP “Quasi” will be out on 11. March. Lukas Graham are going on their first headlining tour in North America this spring – most of the shows are already sold out, but before that they stop by in Austin for SXSW. 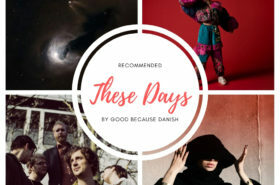 The band – which has been huge in Denmark since 2012 – is currently in the middle of a worldwide breakthrough with their latest single “7 Years”. The first stop of Lust For Youth‘s North America tour will be their SXSW gig in Austin, where they present their new album “Compassion” which will be out on 18. March worldwide. Until then you should check out their new video for “Sudden Ambitions”. It’s going to be a busy March for The Foreign Resort – they are not only heading to SXSW, but also touring through the U.S. during the whole month. But if this would not be enough they got a new video for their song “Suburban Depression”, you better check it out! 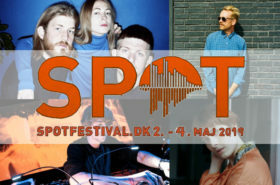 There is also a representative of the Danish rock scene in the festival’s line-up: four piece Aarhus rock band Yung is travelling to Austin as well and will stay in the U.S. for some more shows during March. In June the guys will have a new full length album out with the title “A Youthful Dream”.